Stop dreaming and just do it – awesome surf boat trips to exotic locations are now possible for all, not just the pros. With the help of LUEX you can sidestep the hassle of problematic logistics and just concentrate on enjoying that once-in-a-lifetime boat trip. LUEX offers charter boat trips for solo surfers, families, large or even small groups with only 4 guests needed to start a holiday dream trip. 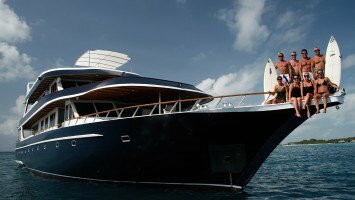 The most luxurious boat option in the Maldives. Exceptional service and lots of amenities. 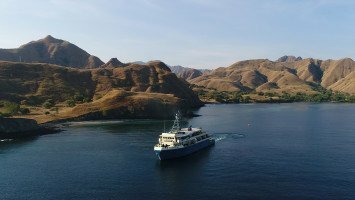 If you are the kind of surfer with a wave-riding appetite that can only be fed by exploration and who hears the call of the ocean constantly then a surf vessel option could be the perfect choice. With a surf charter vessel you will not just be next to but on the ocean throughout your trip in your own private floating ‘hotel’. You will be rocked to sleep by the ocean and awake to find it surrounding you. In between those times you will no doubt, either be filled with feelings of excitement and anticipation as your surf charter crew steer you towards today's waves, or catching yourself ride after ride until exhaustion sets in or the sun goes down. So, not only will wave riding time be maximized, by being either in the water or next to the breaks all day long, but you will have the opportunity of getting to surf breaks which are out of reach for others. 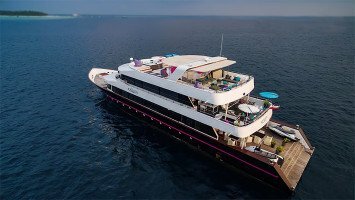 There are plenty of different surf vessel trip types to choose from which means you are sure to find something which fits your own personal needs and party size. Most of the boats are chartered by full groups made up of one party but don't assume you have to gather too many of your surf crew together to make this a feasible option. LUEX for example, are proud to offer boats which start with a few guests only – sometimes as few as 4 or 6 – which make it easier for you to organize a group. These trips are either on a fixed schedule or can be chartered for your own preferred dates. However, if you are a surfer who likes to go solo or you are unable to get together a group of surf buddies then there are options for you too. 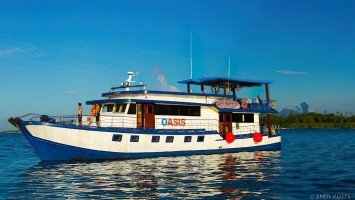 Some of the surf vessels, usually those on a fixed schedule, accept individual bookings. If the dates of these types of trips don't coincide with your plans then you might want to consider one of the 'open boat' options. Open boats are essentially floating 'hotels' which stay in a particular surf region on a permanent basis. On your arrival at the airport you will be picked up and transferred by tender boat to your ocean 'hotel'. This option gives complete flexibility for arrival and departure so that you can choose the dates which work best for you. Surf boat charters are for surf addicts and for those whose number one priority is scoring themselves as much ocean time as possible on their surf trip. New school ripper, old boys long boarder crew or anything else in between – no matter what type of surfer you are there are suitable options. There are even 'girls-only' options for the surf chicas who, for whatever reason, fancy a break from the boys. Boat types fall into all classes and are geared towards all pockets – from the budget options upwards - so you may want to consider bringing along your wife/husband, girl/boyfriend or even your kids. 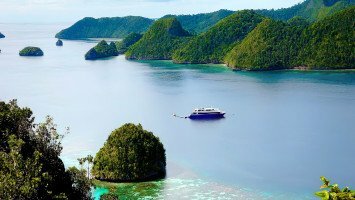 The majority of surf charter trips on offer cover the Maldives and Indonesia. The names connected to these read like something from a dream destination catalogue – choose from the North and South Male Atoll – the most well-known and probably most often surfed of the atolls; the Central Atolls of Meemu, Laamu and Thaa with their distinctly secluded feeling and the Southern Atolls of Huvadhoo and Gaafu Dhaalu which offer something for novice surfers through to experts. 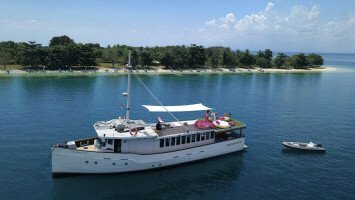 The Indonesian surf charter vessels ply the waters of the surf iconic Mentawis as well as Lombok, Sumbawa, Sumba, Roti and the Northern Maluka Islands. 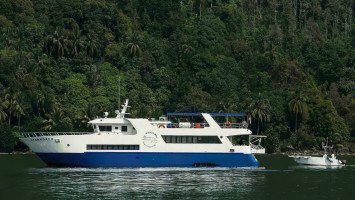 However there are also Central American and South East Pacific based surf charter vessels giving you a wide choice of destination options. So, hands up if you are one of those surfers who have found yourself turning green with envy as you flick through the pages of a surf magazine reading about the exotic boat based exploits of one of the pro boys. The fact is, in case you thought otherwise, boat trips and surf charters are no longer the exclusive domain of the professional surf crew only. However, organizing a boat trip for you and your friends can be far from easy. Logistics such as group size, dates, destinations, different skill levels and budgets all need to be factored into your planning and helping you sort through this potential headache is where we come in. Let us help you to select the best options for the needs of you and your surf crew so that all you have to worry about is getting yourself there and enjoying the surf adventure of a lifetime which many only dream of.